On the road to Ambleside via Coniston I realised why we didn't go to the Lake District often - Neil gets travel sick on hilly, Top Gear style roads. Maybe it was the Lonesome Pine beer he had the night before, but to be truthful it was the rollercoaster style roads that were making him green. I had to slow down and the 14 mile drive to Ambleside was much longer than anticipated. Thankfully there was no other drivers getting frustrated behind me and I managed to get Neil to Coniston, without him vomiting in the car. 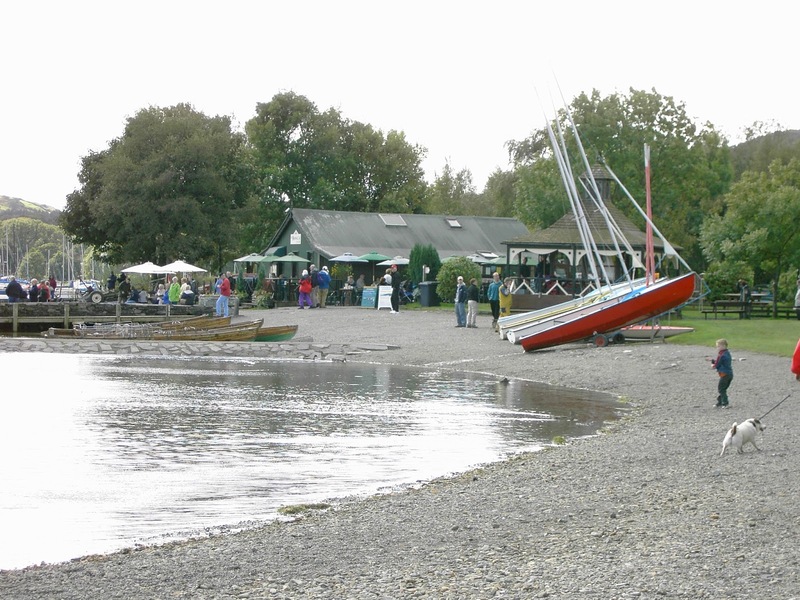 The last time we went to Coniston in 2004, the place was definitely entrenched in the 1950s. In the space of 7 years it had edged closer to the 21st Century - early 90s I reckon. 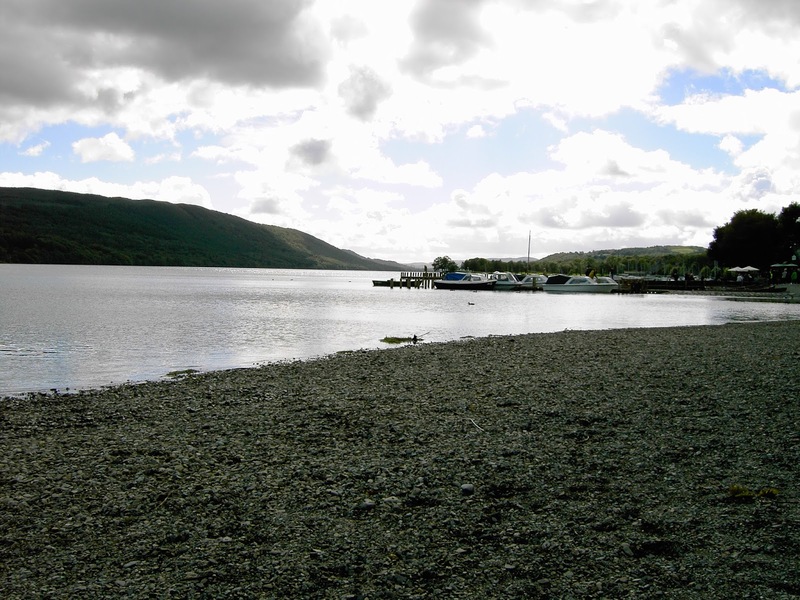 Coniston is obviously famous for Donald Campbell's ill-fated attempt to break the water speed record in the Bluebird. However when we wandered round the graveyard we found John Ruskin's grave, the famous Victorian Art Critic. The headstone is a lovely arts and crafts style affair and very becoming of the man. We parked next to the toliets by the vistor information centre. Neil made good use of the toliets, however they weren't a patch on the Cartmel Racecourse toliets which were lush in comparision (and less smelly). Coniston was busy with walkers and tourists. The shops were open and trying to cash in on the summer season. If you wanted some supplies, trinkets or walking gear you were in luck as Coniston catered to all your needs, unlike Ulverston. Neil had finally regained some colour and felt like he could face the rest of the 7 mile journey to Ambleside. So slowly (30 mph) we headed off, with me praying Neil wouldn't be sick in the car.